Our team from 2009. 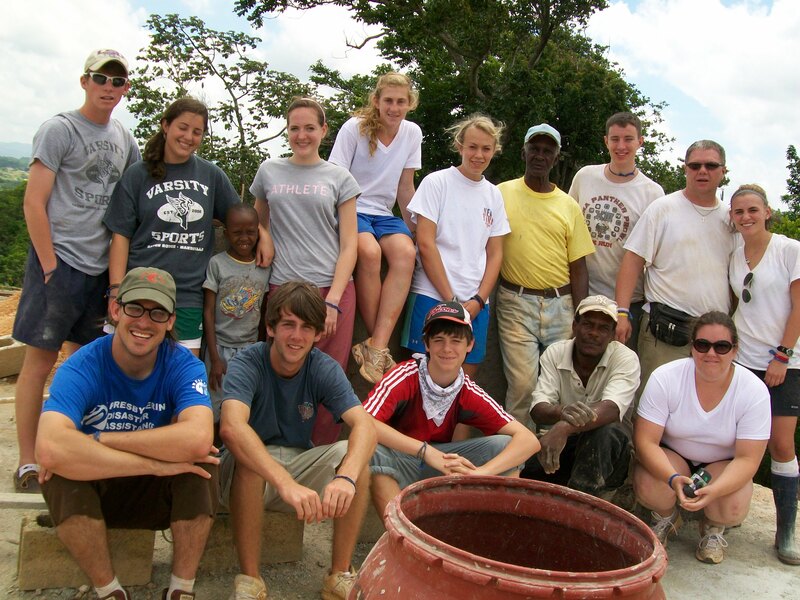 Kids from all over the U.S. working together to make a better home for the needy of Jamaica. In solitude we can slowly unmask the illusion of our possessiveness and discover in the center of our own self that we are not what we can conquer, but what is given to us. In solitude we can listen to the voice of Him who spoke to us before we could speak a word, who healed us before we could make any gesture to help, who set us free long before we could free others, and who loved us long before we could give love to anyone. It is in the solitude that we discover that being is more important than having, and that we are worth more that the result of our efforts. In solitude we discover that our life is not a possession to be defended, but a gift to be shared. It’s there we recognize that the healing words we speak are not just our own, but are given to us; that the love we can express is part of a greater love; and that the new life we bring forth is not a property to cling to, but a gift to be received. On my first mission trip to Jamaica my fanny pack was stolen with my wallet, camera and travellers cheques inside. I was panic-stricken – for about a minute. Then I remembered the reason I was in Jamaica – to be the hands and feet of Jesus to the people and to be a facilitator for the kids I had come down to serve with. It was then I realized how much our possessions control us. I was worried about a camera I could replace for a little over a hundred dollars, a wallet the contents of which I could restore with minimal effort when I got home, and traveller’s cheques that were replaceable at the nearest bank instead of enjoying the beauty of a place I had never been, the growing relationship with the kids and the people of this beautiful island. I looked at the values I had learned, that whole concept of, “He who dies with the most stuff wins.” I found I had been misleading myself. We spend all our lives trying to acquire ‘stuff.’ We collect stuff, we replace stuff, we hold our stuff in our arms till we can hold no more, then we build buildings to hold our stuff, and we build fences around the buildings to protect our stuff; all the while we become more and more isolated from the things that really matter – the people in our lives and the community we are a part of. I imagine myself with my arms wrapped around everything I own – so much I can barely hold it all as my arms wrap around this ponderous pile of stuff. As I stand there with my arms wrapped tightly in this way, I ponder, “Is it any wonder that I cannot reach out to grasp the grace of God that is raining down on me every day?” It is then I realize I must put down those things to which I hold so tightly; I must open my arms to receive the gifts He has for me. For it only through letting go that I can truly receive.